Manufacturer NIRGOS : Computer tables and angular computer tables. Computer tables with shelfs for CD and DVD disks. Computer tables with curbstones. Manufacture of computer tables and manufacturing of computer tables to order. Interior shop of computer tables. 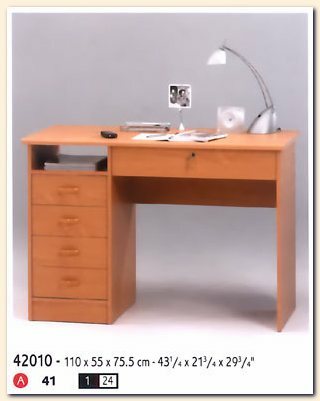 The lowest costs for computer tables. Office tables with curbstone and a shelf for the monitor of the computer. Computer tables from laminated OSB, Chipboards laminated, MDF plates and plastics. Price - a sheet on angular computer tables and computer tables with shelfs for CD of disks.